The office of Park Avenue Medical Weight & Wellness is officially closed. Dr. Kane has accepted the position as the Director of the Center for Weight Management for the North Shore-LIJ hospital system and chief of the Section of Obesity Medicine at Hofstra North Shore-LIJ School of Medicine. He will have offices in Long Island and Manhattan. Schedules for all three sites are now open. Please call 516-496-2662 to set up an appointment. Please ask for Lisa, the program coordinator, and she can help you set up an appointment, forward old records to the new locations or answer questions about insurance and logistics. Most of us are overweight at some point. Correcting this problem is a complex process, from acknowledging the need to do something about it through attaining and maintaining your desired weight. Changing the habits formed over a lifetime can be challenging and intimidating, especially without a strategic plan of action and a thorough understanding of the issues involved. With all the “miracle weight loss solutions” being promoted on television and in magazines, it is no surprise that people are confused about which approach to take and what actually works. Dr. Kane understands the effort required to lose weight and change your life and will support you throughout the entire process. There is no single explanation for why people gain weight or fail to lose it. To varying degrees, emotions, hormones, physical limitations, genetics, social stressors and modern lifestyles play a role in shaping our bodies and health. Some of these factors predispose us to weight gain, while others are the result of choices and behavior. No two individuals are exactly alike. Dr Kane helps his patients understand the complex interplay of these influences and works with his patients to develop a customized plan to achieve their weight loss goals. There are countless reasons to lose weight. For some, motivation comes from a desire to look better for an upcoming social event such as a wedding or because of a life change like child birth or divorce. For others, particularly those who suffer from diseases associated with obesity such as diabetes, high blood pressure, and vascular disease (impotence, and heart disease) weight loss may represent a path to freedom and health. Seniors may wish to lose weight to optimize energy levels and enjoy an active lifestyle again. Finally, many overweight individuals are simply tired of feeling lethargic and wish to end the repetitive, self-destructive pattern of over-eating, weight gain, shame, and depression. 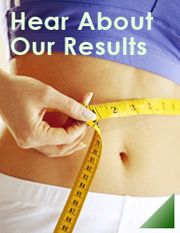 No matter what your reason for wanting to lose weight, Dr. Jamie Kane can help you. Dr. Kane is a Yale University-trained medical weight loss specialist who has helped hundreds of people lose weight and keep it off. A diplomat of the American Board of Obesity Medicine, Dr. Kane understands that diet (what you eat) is the single greatest factor in your weight loss. Additionally, as a fitness enthusiast and outdoorsman, Dr. Kane believes that getting in shape and leading an active lifestyle is the most important factor in achieving total overall health and wellness. His philosophy is that physical health affects all other aspects of health -- an active person is less likely to suffer from depression and an active lifestyle reduces the risk of heart attacks, strokes, diabetes and countless other diseases. And as a Board-Certified Internist, Dr. Kane will help you manage and prevent serious illness and disease and guide you through the process of regaining your health. Dr. Kane’s comprehensive, medically supervised approach assures that your weight loss efforts are achieved with an emphasis and safety and reliability, not based on some fad diet.